I would like to welcome SIOP and IPSO members and guests to Kyoto Japan and hope you will enjoy our IPSO programme and events. This year is our 27th anniversary and we have an impressive scientific programme organized by Drs. Sabine Sarnacki and Simone Abib and the Program Committee. We hope many SIOP members will attend our sessions which are open to all, just as our members plan to attend many of the SIOP sessions as well. I would like to thank our IPSO local arrangements chair, Dr Tatsuro Tajiri for all of his work on our behalf. The IPSO dinner will be at the Fortune Garden Kyoto on the evening of November 17th 2018, Saturday. IPSO members and guests are welcome to register for this dinner through SIOP registration. 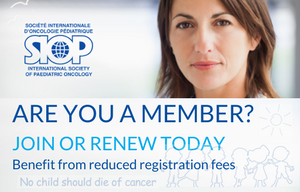 The main IPSO programme will begin on the morning of Friday November 16th and is a 2 day programme which includes scientific presentations divided into disease oriented sections. We are very proud of the quality and number of abstracts submitted for this year’s programme. On Friday the Daniel Hays Surgical Skills Seminar will focus on Nephron-Sparing Surgery in Wilms Tumor, New Navigational Techniques in Oncologic Resections, and the Management of Intraoperative Complications. On Saturday, the 17th we will have the IPSO/PROS Symposium on Organ and Fertility Preservation and the IPSO Lecture on The Critical Role of Surgery in Pediatric Cancer Care by Dr Simone Abib. On Sunday, the 18th the SIOP-IPSO-PROS Symposium will discuss Multidisciplinary Palliative Care. We would like to encourage, and welcome all to attend our scientific sessions and fully participate in the discussions. I hope that everyone will not only enjoy our scientific programme but also the many wonderful opportunities that are available to explore Kyoto, Japan.